So we got off at the World Trade Centre site and caught another bus with a way more interesting guide. 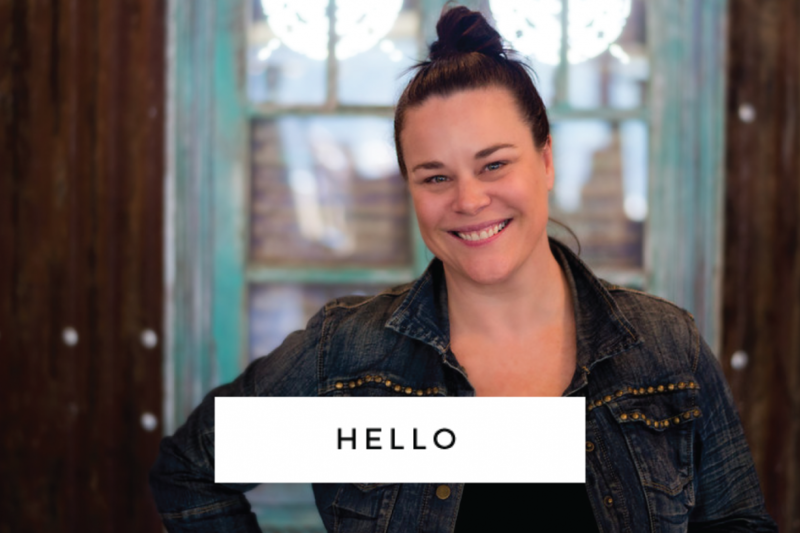 They really do make a difference, little snippets of info and story gems can make your tour. We did the Downtown tour from Central Park, down Broadway, past Trump Towers (Donald has built 4 of them in the city), through Greenwich Village, towards the WTC site at Ground Zero which is now a massive construction site, where we got off and walked down towards Wall Street and the famous bull statue with hundreds of tourists straddling its horns and grabbing its gonads. Then on to the waterfront where you catch the Circle Line cruise to take in the sights of the Manhattan coastline and the Statue of Liberty. The queues to get on that were miles long, so we just zoomed our camera lenses in on her and carried on walking! Back on the bus and up towards Chinatown, Nolita, Soho and Little Italy – which we’ll be doing on foot tomorrow. 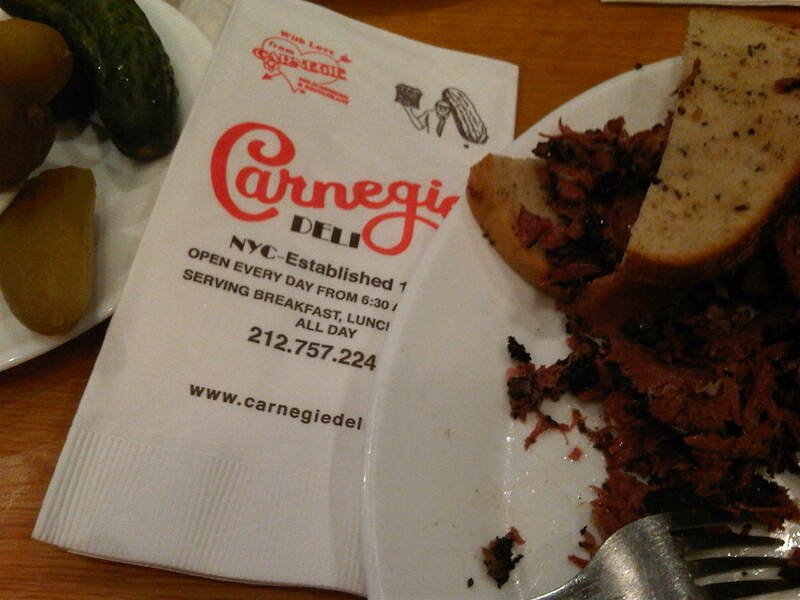 We got out when we saw Carnegie’s Deli, which everyone I chatted to before coming here, who had visited NYC, recommended and we forked out $40 for 2 sandwiches – 1 hot pastrami and 1 roast beef, but when I tell you they could have fed 5 people I am not lying! Wow, these were not just door stoppers – they were each the size of a small handbag! Never have I seen so much meat layered between 4 slices of bread and OMLG was it delicious. Needless to say, we got a takeaway and that’s for dinner tonight! Carnegie’s is an institution in NYC, the walls are plastered with the signed photographs of celebrities who have dined there over the years. Among those I spotted while munching on my sarmie were Britney Spears, Celine Dion, Warren Beatty, Barack Obama and a WWF wrestler obviously famous over here, but who I didn’t know of, go figure. They charge you an extra $3 dollars if you share anything, obviously used now to people ordering 1 sandwich between them, but hell it’s worth it, because to order 1 each would be death-by-pastrami, as I shudder to think what you would fee like after eating a whole one to yourself! Our bus tour tickets are valid for 48 hours, which makes the R400 ticket price a bargain, as we’re using it again tomorrow to do the Uptown Tour which covers the route where most of the museums are located. Can’t wait to take in the New York History Museum and the Natural History Museum, as well as the MoMa, the Met and the Guggenheim! For now, it’s an early night for me as the pastrami has knocked me out!